Ariel, a former stray cat, was brought into SCRAPS a few weeks ago. SPOKANE, Wash. — A Spokane cat battling cancer is recovering following surgery Tuesday. Ariel, a former stray cat, was brought into SCRAPS a few weeks ago. It was then that staff members discovered she was battling a rare form of breast cancer. On Tuesday, Ariel received a double mastectomy from Medical Lake Veterinary Hospital. SCRAPS posted on Facebook that the cat is doing great and she "sends her love to everyone who has donated toward her care and shared her story." She is still up for adoption. Ariel is receiving treatment at SCRAPS with the help of the shelter's Hope Foundation. 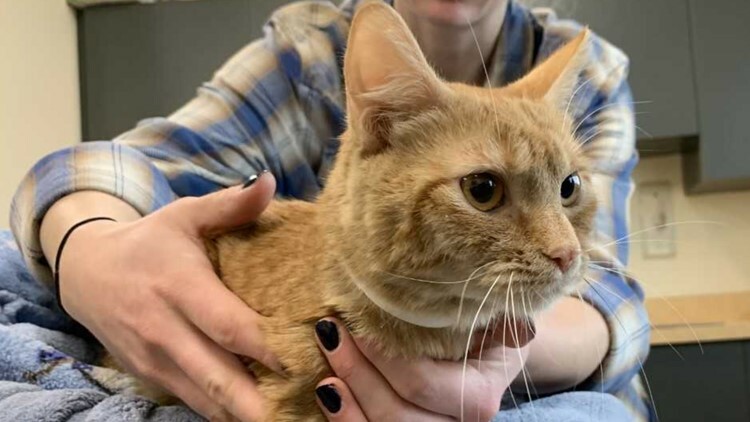 In the meantime, the orange kitty is looking for someone to foster her, with the intention to eventually adopt her when she is all done with treatment. "She is on the younger side," said Brooklyn Robinson with SCRAPS. "She is pretty small, so she will grow a little bit bigger, but right now she's just an excellent companion cat who would be super playful and friendly when she is all done with this medical stuff." "Even if fostering isn't an option, we are accepting donations to help pay for her surgery so, while we are covering it through the Hope Foundation, we do need help covering her cost as well as being able to care for other cats that might come in with the same issue or other animals," Robinson added. After Ariel's first surgery, staff members said she recovered very well and even opened up to staff and volunteers. 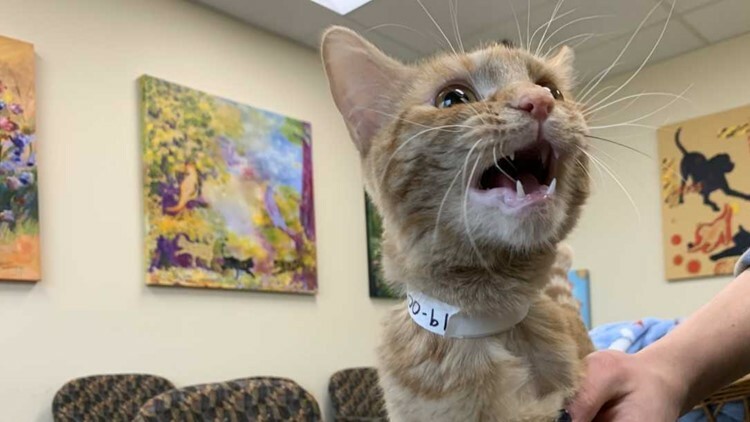 Robinson said the risk of breast cancer in cats is reduced by 91 percent if owners spay them before they are six months old. If you are interested in fostering Ariel while she receives treatment and eventually adopting her, you can do so through the SCRAPS website. You can then call SCRAPS and fill out a fostering application. Make sure to specify that you are interested in Ariel. You can also donate to help with Ariel's surgery through the SCRAPS website.